Snappy Airport Transfers is a London-based shuttle cab operator that has quickly gained the reputation as one of the leading and most reliable airport transfer companies in the city and the adjacent counties. 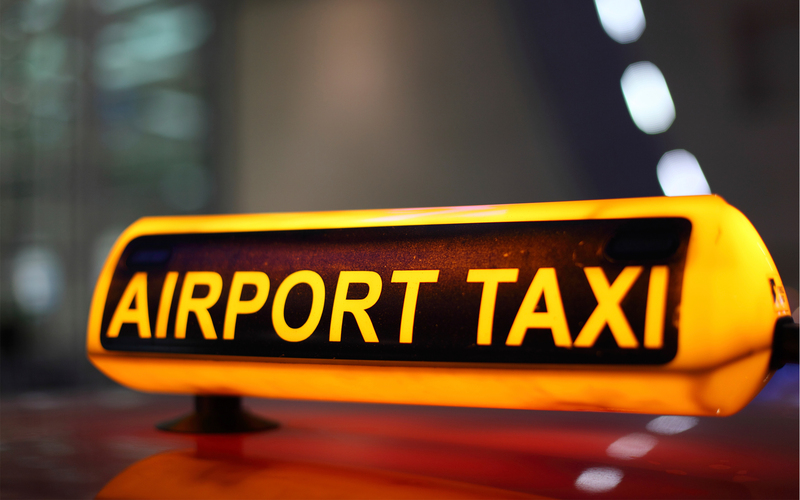 We can take you to any of the capital’s airports swiftly and comfortable, and at a price rate that no regular cab can offer! And you know what – if you travel with your colleagues, friends or family, we can take them, too! Our spacious minivans can accommodate up to five people! Affordable airport transfers from Hackney to Heathrow Airport (LHR). Affordable airport transfers from Hackney to Gatwick Airport (LGW). Affordable airport transfers from Hackney to Stansted Airport (STN). Affordable airport transfers from Hackney to Luton Airport (LTN). You can count on us 24/7, even on National and Bank Holidays. Book your cab right away via our online booking system – the process takes less than a minute! The best prices in London and Essex – may go as low as half the fee of a regular cab for the long-distance transfers. PCO-licensed, experienced and friendly drivers. Air-conditioned, spacious minivans with extra room for the luggage. Big discounts if you book a two-way transfer with us. We cover the entire Greater London area within the M25 perimeter. Fixed price rates, no extra fees. Thoroughly reliable – we arrive at your address ten minutes before the time of appointment. From Hackney E8 to Heathrow International Airport for £60 with a pre-booked appointment. From Hackney E8 to Gatwick International Airport for £65 with a pre-booked appointment. From Hackney E8 to Luton International Airport for £65 with a pre-booked appointment. From Hackney E8 to Stansted International Airport for £50 with a pre-booked appointment. We redefine the limits of comfort as far as airport transport is concerned. We know most people struggle with time management or dealing with excessive luggage when they have to catch a flight. But with Snappy you will have to worry about none of that. Our fleet of minivans includes the best brands and models in their class – Ford Galaxy 7, Citroen Grand C4 Picasso, Renault Grand Scenic and Mercedes Viano – the urban type of vehicles that have been chosen by thousands of families all around the world. Because while our service is, of course, suitable for single passengers, it is also perfectly fit for families who will fly on holiday or corporate teams going on a business trip. We have enough room to fit groups of up to five people and rest assured – your comfort is guaranteed! We are very meticulous about our employee selection and make sure only trustworthy and dedicated people join the Snappy team. All our drivers have a valid PCO license and long experience in the traffic jungle of London. They know the best routes and the fastest shortcuts if the traffic gets too congested. But arguably their most valuable quality is that they understand the importance of time management and punctuality in our line of business. Whenever you book a cab with Snappy, you can be certain we will arrive on time! Getting from Hackney to Heathrow Airport – we take A12 to Woodford and at exit 4 we get on M11. We continue north to junction 6 in Epping and turn west on the London Orbital. The route might be almost 60 miles long but using the major highways helps us keep the time required within one hour. Getting from Hackney to Gatwick Airport – we take the A102 and A2 to Dartford and then merge onto the London Orbital. We continue westwards to junction 7 near Redhill where we turn south to Gatwick via M23. The distance is 49 miles, the time necessary – between 60 and 65 minutes. Getting from Hackney to Luton Airport - we take A12 to Woodford and at exit 4 we get on M11. We continue north to junction 6 in Epping and turn west on the London Orbital. At Abbots Langley we turn north and continue to Luton via the M1. The transfer is approximately 50 miles long, and we cover it in slightly over one hour. Getting from Hackney to Stansted Airport - we take A12 to Woodford and at exit 4 we get on M11. We drive north through Essex all the way the A120 exit to Stansted – the ride is 32-miles long and in moderate traffic we can take it in 45 minutes. All you have to do is insert your personal details – address, preferred time of departure and destination – and you are all set! You will also receive a price quote that is not a subject of change. You can book a cab 24/7 via your laptop or mobile device! The area gave its name to the “hackney coach” in the early 17th century – the first prototype of the modern taxi. During the reign of King Henry VIII, the ecclesiastic property in the area was seized by the Crown, and henceforth Hackney became a fashionable retreat for courtiers and aristocrats. Famous residents of E8 include astronomer Edmond Halley, Michael Caine, Colin Firth, Ray Winstone and former Prime Minister Tony Blair.